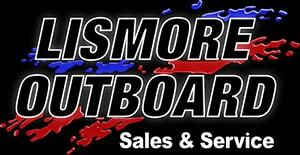 Lismore Outboard Sales & Service offers Lismore’s finest selection of boats, outboards and boat accessories. Our comprehensive range of boat accessories ensure you have everything you need so when you’re out on the water you feel calm, comfortable, and well equipped. For further details regarding our fantastic range of boat accessories, scroll down this page and find everything you need and so much more. Visit Lismore Outboard Sales & Service for all your top quality boat accessories today! Alternatively, call us on 02 6621 2657 in Lismore. You probably already know how to use a Garmin chartplotter. It is that intuitive. Just turn it on and you can quickly follow the simple menu. Everything is at your fingertips to quickly and easily plan your route and set your course. And most Garmin echoMAP™ and GPSMAP® chartplotters are available combined with built-in sonar capabilities. These include advanced HD-ID™ sonar, CHIRP sonar and Garmin DownVü™ and SideVü™ scanning sonar, which provides the clearest scanning sonar images on the water. BLA designs and manufactures its own range of quality products and boating accessories, which we stock right here in Lismore! GME designs and manufactures a range of electronic equipment including radio communication equipment, navigation and sonar, emergency beacons and other marine electrical equipment.